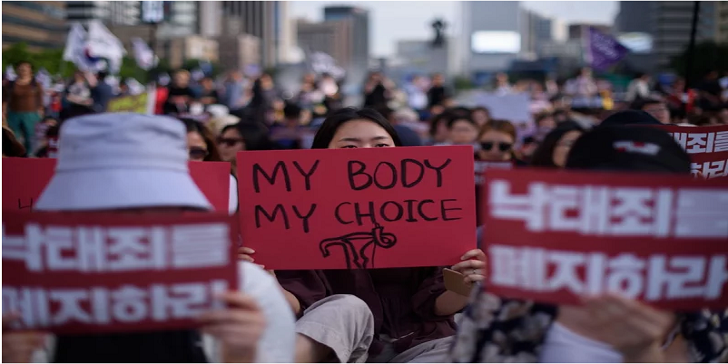 The Republic of South Korea's 66-year ban on abortion must be lifted by end of 2020 the nation's Constitutional Court ruled Thursday, in a noteworthy decision taken by the advocates. Seven out of nine judges decided that prohibiting abortion was unlawful. To pass the law, six judges were needed to vote against the previous ban, which is now a success. The Government of South Korea now has until December 31, 2020, to modify their present law. End of pregnancy following 20-weeks will, however, stay illegal. 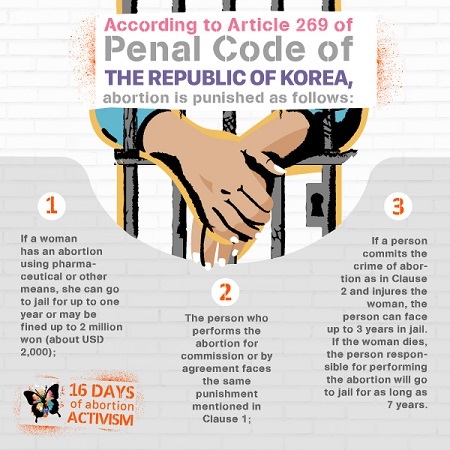 Prior to this, females who had premature births in South Korea were jailed for a year and were fined up to two million won ($1,780), while specialists or doctors who looked through the abortion could be imprisoned for as long as two years. The law was enacted by the Government of South Korea since 1953. 75% of ladies who were between the age groups 15 to 44 viewed the law as unfair, as per the survey conducted by the Korea Institute for Health and Social Affairs. Around 20% of females said they underwent an abortion regardless of it being illegal. Current works to make abortion legal was pushed back by many religious and conservatives groups citing it to have a link with the US anti-abortion campaigns.